In the same way that 400 Hz power allows for denser power, the need for denser 60 Hz (or 50 Hz) power leads to the use of Three Phase (3ɸ) power. 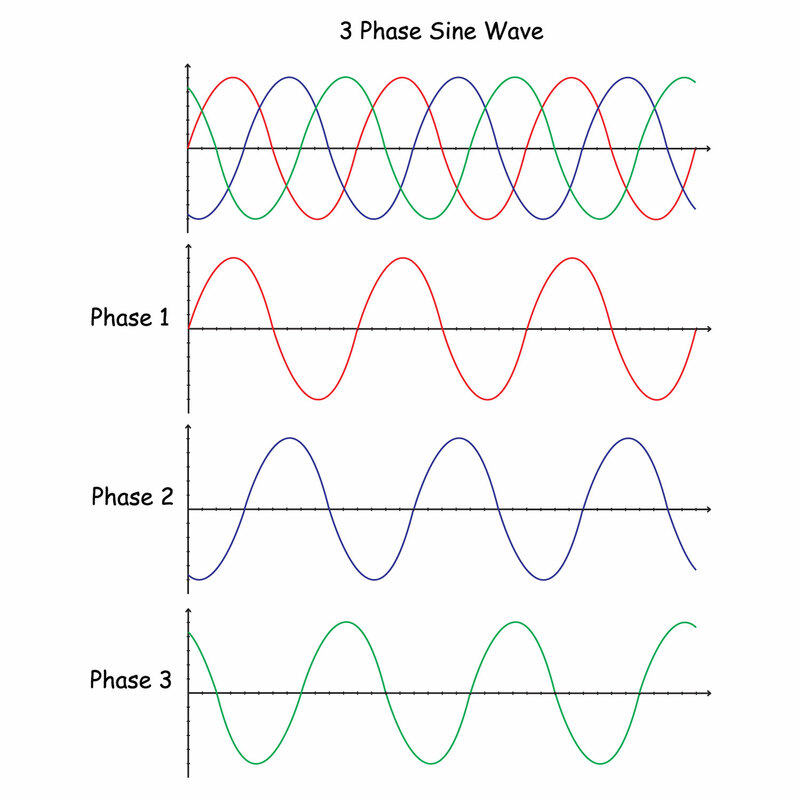 In this type of power, three single-phase power waves are combined, with the second wave 120 degrees ahead of the first wave, and the third wave 240 degrees ahead of the first wave. Pictorially, this can be represented as shown below. The three circuit conductors carry three alternating currents (of the same frequency) which reach their instantaneous peak values at different times. Taking one conductor as the reference, the other two currents are delayed in time by one-third and two-thirds of one cycle of the electrical current. Three phase frequency converter systems may or may not have a neutral wire. A neutral wire allows the three phase system to use a higher voltage while still supporting lower voltage single phase appliances. In high voltage distribution situations it is common not to have a neutral wire as the loads can simply be connected between phases (phase-phase connection). Three-phase electric power is a common method of electric power transmission. It is a type of multi-phase system mainly used to power motors and many other devices. A three-phase system uses less conductor material to transmit electric power than equivalent single-phase or direct-current systems at the same voltage.